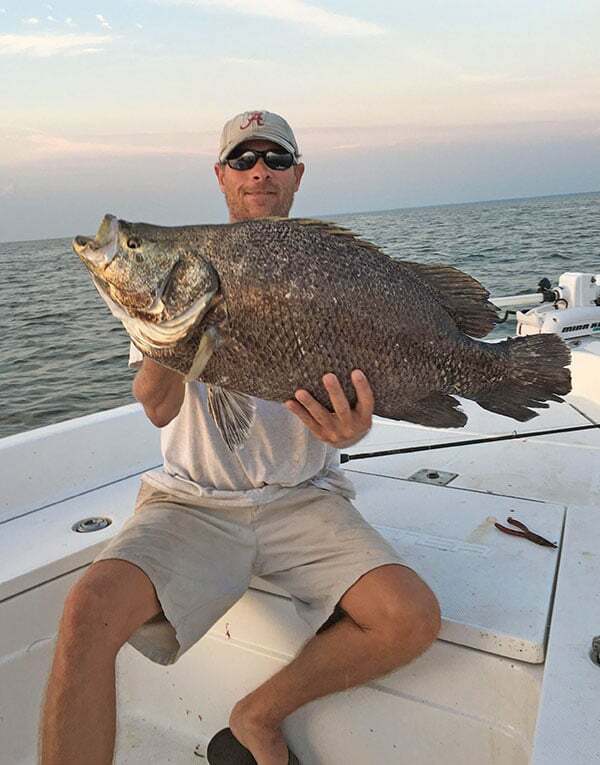 Mobile native fisherman Captain Kyle Mitternight has a proven track record while fishing the inshore waters of Mobile Bay and surrounding waterways. Captain Kyle has become locally famous for consistently catching tripletail a.k.a. blackfish in Mobile Bay and Mississippi sound. While blackfish maybe his niche/specialty, he is no stranger when it comes to locating and catching speckled trout, redfish and sheepshead. Mobile Bay fishing charter captain Kyle Mitternight has the right attitude and personality to have fun with everyone on board. Mobile Bay fishing charter captain Kyle Mitternight is a father and a husband before he ever gets on the boat. A loyal family man says that his character is second to none. His kids keep him busy with volleyball when he is not on the water looking for the next best speckled trout bite. Captain Kyle gets along with everyone he meets and will be a great host on your next fishing trip. Captain Kyle of Mobile has competed and been highly competitive in Redfish tournaments and has won many speckled trout tournaments over his career. Inshore fishing charter captain Kyle Mitternight operates a beautiful 22' Skeeter Bay Boat powered with a reliable 250hp Yamaha 4 stroke motor. This boat has a comfortable ride and will get you to the fishing spots quickly and safe. Captain Kyle Mitternight is no stranger when it comes to targeting this unique and migratory species. He has won and placed in many local tournaments throughout his career and plans to continue that trend. If your interested in targeting this weird fish then Kyle is your guy. Click Here for booking information. Check out our personalized fish calendar to ensure that blackfish will be in Alabama inshore waters during the time period you plan to book.